This guide pulls together resources on the famine in Ireland (1845-1852) for teaching purposes. 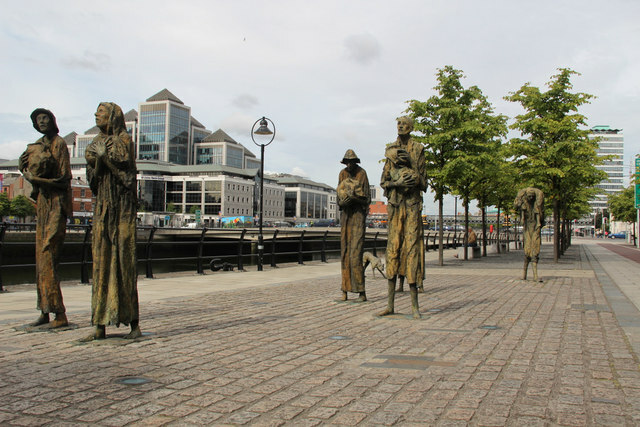 The Great Famine of 1845-1849 was not the first famine to hit Ireland but it was highly significant in terms of its death toll and prolonged duration over a 4 year period. Its consequences were huge. Debate over the British government's management of the crisis led to a worsening of relations between Britain and the Irish people. The mass emigrations which took place as a direct result of conditions in Ireland during the Famine impacted families, Irish culture and the Irish language. The Famine is a recurring unit that crosses several areas in the primary curriculum. This guide aims to pull together our top picks of the many resources available as an aid to teachers. By the JFK Trust in conjunction with the Balch Institute, the Ellis Island Restoration Commission, and the Battery Conservancy. Search for family members who emigrated to America during the Famine years. There's even an app you can download which enables you to take an audio- guided walking tour of Skibbereen at your own pace.